A recent large clinical study has shown that empagliflozin has a lower rate of cardiovascular and all-cause mortality when compared with placebo in patients with type 2 diabetes. We investigated the effect of empagliflozin (compared with glimepiride) on the progression of atherosclerosis, and its possible mechanisms of action. Forty-eight 5-week-old male ApoE −/− mice were fed a western diet for 20 weeks and divided into four groups: control (saline, 154 mmol/l NaCl), glimepiride 0.1 mg/kg, empagliflozin 1 mg/kg and empagliflozin 3 mg/kg (n = 12/group). Plaque size and composition in the aortic arch/valve areas and cardiovascular risk variables in the blood and tissues were evaluated. Insulin resistance was estimated by HOMA and adiponectin levels. Body composition was determined using dual-energy x-ray absorptiometry. After 8 weeks of treatment, the empagliflozin and glimepiride groups exhibited decreased blood glucose levels. Atherosclerotic plaque areas in the aortic arch/valve were significantly smaller in the empagliflozin groups than in the control or glimepiride groups. Insulin resistance and circulating concentrations of TNF-α, IL-6, monocyte chemoattractant protein-1 (MCP-1), serum amyloid A and urinary microalbumin decreased after empagliflozin treatment, and this significantly correlated with plaque size. Empagliflozin treatment reduced weight and fat mass, lipid droplets in the liver, fat cell size, mRNA expression of Tnf, Il6 and Mcp-1 (also known as Ccl2) and the infiltration of inflammatory cells in plaque and adipose tissue compared with the control or glimepiride group. Empagliflozin treatment increased adiponectin levels. Improvements in inflammation and insulin resistance seem to be mechanisms involved in the mitigation of atherosclerosis by empagliflozin. Ji Hye Han and Tae Jung Oh contributed equally to this study. The online version of this article (doi: 10.1007/s00125-016-4158-2) contains peer-reviewed but unedited supplementary material, which is available to authorised users. Sodium/glucose cotransporter 2 (SGLT2), a 672 amino acid transporter, is mainly expressed within the proximal tubule of the kidney and is reported to be responsible for approximately 90% of renal glucose reabsorption . 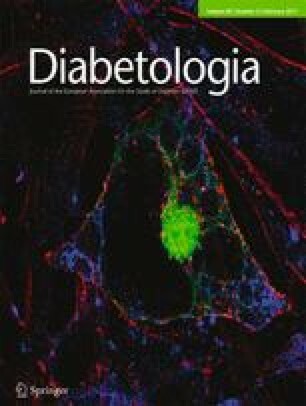 Given the role of SGLT2 in glucose transport within the kidney, SGLT2 inhibitors have become a focus of developmental and clinical research in the field of diabetes. The first natural SGLT inhibitor to be reported, phlorizin, was isolated from apple tree root bark . Treatment with phlorizin lowered both fasting and postprandial blood glucose levels, independent of insulin secretion, in a diabetic rat model induced by 90% pancreatectomy . In humans, oral administration of phlorizin induces renal glycosuria, weight loss and blood pressure reduction , although rapid degradation by lactase–phlorizin hydrolase and poor absorption in the gastrointestinal tract mean that phlorizin has not been developed as a drug for treating diabetes mellitus. Recently, several highly selective SGLT2 inhibitors derived from the basic phlorizin structure have been synthesised . Unlike many other glucose-lowering therapies, SGLT2 inhibitors act independently of insulin secretion or action . A systematic review and network meta-analysis of randomised controlled trials involving glucose-lowering treatments added to metformin revealed that SGLT2 inhibitors yielded similar HbA1c reduction and less pronounced hypoglycaemia, as well as the additional benefit of weight loss, compared with dipeptidyl peptidase-4 inhibitors, thiazolidinediones and sulfonylureas [7, 8, 9]. Empagliflozin effectively lowered blood glucose and provided additional clinical benefits, including body weight and blood pressure reduction . Dapagliflozin reduced fat mass as well as body weight in patients with type 2 diabetes inadequately controlled with metformin . Thus, SGLT2 inhibitors have been found to induce weight loss and decrease blood pressure in patients with diabetes through glucosuria and other indirect mechanisms such as an energy loss of approximately 800–1300 kJ/day [12, 13]. Recently, a large, randomised controlled study showed that patients with type 2 diabetes who were at high risk for cardiovascular events and received empagliflozin had a lower rate of the primary composite cardiovascular outcome and of death from any cause than those receiving placebo . This positive result related mainly to the low rate of hospitalisation for heart failure. In this context, it would be interesting to investigate whether empagliflozin has anti-atherosclerotic properties and a specific role in atheromatous plaque formation. A recent study found that dapagliflozin or ipragliflozin suppressed macrophage foam cell formation . In another recent study, administration of ipragliflozin inhibited the progression of atherosclerosis in a mouse model of repetitive glucose spikes . However, no mechanistic studies have compared the anti-atherosclerotic effects of SGLT2 inhibitors with those of active competitors such as sulfonylurea. Therefore, this study aimed to investigate the effectiveness of empagliflozin in mitigating atherosclerosis, by focusing on its possible mechanisms of action. Forty-eight male ApoE −/− mice (Japan SLC, Shizuoka, Japan) were used at 5 weeks old for the generation of the spontaneous atherosclerosis model . At 7 weeks of age, all mice were fed a western diet containing 1.5 g cholesterol (43% energy from carbohydrate and 41% energy from fat; D12079B; Research Diets, New Brunswick, NJ, USA). The animals were kept under 12 h/12 h light/dark cycles with free access to food and water. This study was approved by the Institutional Animal Care Committee, Seoul National University Bundang Hospital (06-2014-168). Animal experiments were performed in compliance with the Guide for Experimental Animal Research of the Laboratory for Experimental Animal Research, Clinical Research Institute, Seoul National University Bundang Hospital, South Korea. After being raised for 20 weeks, the mice were divided into four groups according to drug administration: (1) control (normal saline, 154 mmol/l NaCl); (2) glimepiride 0.1 mg/kg; (3) empagliflozin 1 mg/kg and (4) empagliflozin 3 mg/kg (n = 12 per group). The mice were maintained on the high-fat and high-carbohydrate diet. After 8 weeks of oral treatment with study medication, body composition was determined by dual-energy x-ray absorptiometry (DXA) using a PIXImus II apparatus (GE Lunar, Madison, WI, USA). The treatment was randomly assigned by a computer random generator. The experimenters were not blind to the treatment, but they were blind for measurement of experimental outcomes. See electronic supplementary material (ESM) Methods, ‘Animal experiment with ApoE −/− mice’ section. After 8 weeks, the aorta, liver and abdominal subcutaneous and visceral fat tissues were rapidly excised. To measure the atherosclerotic lesion area, the aortic arch prepared using the en face method was stained with Oil Red O solution. . Atheroma composition around the aortic valve area was measured by the same method using Oil Red O staining to identify lipid droplets, Masson’s trichrome staining to identify fibrous tissue and CD68 (1:200) immunofluorescence to identify inflammatory cell infiltration. The presence of histiocytes was also examined in Haematoxylin and Eosin (H&E)-stained sections. See ESM Methods. At the end of study, after mice had been fasted for 8 h, blood samples were procured and biochemical variables were measured using standard methods. Briefly, plasma glucose (glucose oxidase method [YSI 2300-STAT; Yellow Springs Instruments, Yellow Springs, OH, USA]) and insulin were measured, and HOMA-IR and HOMA-β were calculated . Additionally, lipids (triacylglycerol, HDL-cholesterol and LDL-cholesterol), liver enzymes (aspartate aminotransferase [AST] and alanine aminotransferase [ALT]) and creatine concentration were determined enzymatically (Hitachi 747 Chemistry Analyzer; Hitachi, Tokyo, Japan). TNF-α, IL-6 and monocyte chemoattractant protein-1 (MCP-1) were also measured (Multiplex Assay Kit [RADPK-81K], Millipore, Billerica, MA, USA), as were adiponectin and C-reactive protein concentrations (ELISA; Millipore and BD Biosciences Pharmingen, Heidelberg, Germany, respectively), and serum amyloid A (ELISA; Tridelta Development, Maynooth, Ireland). Additionally, urinary albumin excretion (competitive ELISA; Exocell, Philadelphia, PA, USA) and urinary creatine (enzymatic kit, Stanbio Labs, Boerne, TX, USA) were measured and urinary albumin excretion was expressed as a total urinary albumin (mg)/creatinine (g) ratio. For further details, see ESM Methods. After mice had been treated for 8 weeks with study drugs, the areas and size of lipid droplets that had accumulated in the liver and adipose tissues were measured using a microscope for picture acquisition and the corresponding software for quantification (Image J software 1.50i; National Institutes of Health, Bethesda, MA, USA) . See ESM Methods. Total RNA was extracted from tissue samples and converted to cDNA. The expression of tnf-α (also known as tnf), Il6 and monocyte chemoattractant protein-1 (Mcp-1, also known as ccl2) was analysed using the Power SYBR Green PCR Master Mix (Applied Biosystems, Warrington, UK) on an ABI 7500 (Applied Biosystems). 18S rRNA was used as an internal control. All experiments were repeated five times. See ESM Methods for details. For western blot analysis, tissues were lysed and resolved on 10% SDS-PAGE and transferred onto a polyvinylidene difluoride (PVDF) membrane (Millipore). For analysis of Akt and GSK, the following primary antibodies were used: anti-Akt, anti-p-Akt, anti-GSK-3β and anti-p-GSK-3β antibodies (1:1000) (Cell Signaling Laboratories, Beverly, MA, USA). An HRP-conjugated anti-rabbit IgG secondary antibody (1:5000) was used (see ESM Methods for full details). Immunofluorescence staining of CD68 and CD11c was performed using anti-CD68 (1:200) (Abcam, Cambridge, MA, USA) and anti-CD11 antibodies (1:200) (Abcam). Texas Red X-conjugated goat anti-mouse IgG and Alexa 488-conjugated goat anti-rabbit IgG (1:500) (Invitrogen, Grand Island, NY, USA) were used as secondary antibodies. Sections were mounted and images acquired using fluorescence microscopy (IX81, Olympus, Tokyo, Japan). See ESM for further details. Rat aortic smooth muscle cells (RAoSMCs) (Bio-bud, Seoul, South Korea) and human umbilical vein endothelial cells (HUVECs) (Lonza, San Diego, CA, USA) were used for in vitro experiments. These cells were negative for mycoplasma before the experiment. The proliferation of RAoSMCs and HUVECs was determined via a bromodeoxyuridine (BrdU) incorporation assay using a commercial ELISA kit (Roche, Mannheim, Germany) . Cells were seeded at 5 × 103 cells/well in a 96-well plate and starved for 24 h in DMEM (plus 0.1% (wt/vol.) FBS). At 1 h prior to induction of cellular proliferation (with platelet-derived growth factor [PDGF; 10 ng/ml] for RAoSMCs or vascular endothelial growth factor [VEGF; 10 ng/ml] for HUVECs), cells were pretreated with empagliflozin (0.1–100 μmol/l) and BrdU incorporation was analysed by spectrophotometry at 450 nm (SoftMax Pro 5.4.1 software, Molecular Devices, Sunnyvale, CA, USA). See ESM Methods for full details. The migration of RAoSMCs was determined via a wound-healing assay. Briefly, cells were grown to confluence and then starved. Following this, a linear wound was made in the cell monolayer and the medium was supplemented with PDGF (10 ng/ml). Cells were allowed to migrate for 24 h and images of the intersections of the linear wound and each grid line were taken (three fields per well). See ESM Methods for details. Results are reported as the means ± SD or SEM, as indicated. ANOVA and ANCOVA were used to test mean differences between groups. Spearman’s correlation analysis was used for correlation. For all tests, p < 0.05 was considered to be statistically significant. Plaque accumulation in the aortic arch of ApoE −/− mice is shown in Fig. 1a; quantification analysis showed that the plaque area decreased significantly in the empagliflozin groups compared with the control or glimepiride groups after adjusting for weight (Fig. 1b). The atheroma burden in the aortic valve area was also significantly lower in the empagliflozin-treated mice than in the control or glimepiride-treated mice (Fig. 1c, d). The area occupied by lipid droplets in the atheromas was significantly smaller in empagliflozin-treated mice than in control or glimepiride-treated mice (Fig. 2a, b). There were fewer histiocytes in the atheroma in the empagliflozin groups than in the control and glimepiride groups (Fig. 2c, d). Lower expression levels of CD68 in the aortic valve area were found in the empagliflozin-treated mice than in the other two groups (Fig. 3a, b). The area of connective tissue stained blue with Masson trichrome was slightly greater in the empagliflozin-treated mice than in the control or glimepiride-treated mice, but this difference was not statistically significant (ESM Fig. 1a, b). For 8 weeks (from 27 weeks of age), weight changes were compared among the control, glimepiride and empagliflozin groups. After 6 weeks of treatment, the weight of mice in the empagliflozin groups (1 and 3 mg/kg) began to fall in relation to that recorded in the control or glimepiride groups, and the difference was maintained thereafter (Fig. 4a). The mass and percentage of fat, assessed using DXA analysis, were lower in the empagliflozin groups (1 and 3 mg/kg) than in the control or glimepiride group (Fig. 4b). Representative DXA images are shown in Fig. 4c. In the ApoE −/− mice that were fed a western diet, fasting glucose levels were lower in the empagliflozin and glimepiride treatment groups than they were in the control group (Table 1). Fasting insulin levels were lower in the empagliflozin groups than in the glimepiride group. HOMA-IR, a surrogate marker of insulin resistance, was lower in the empagliflozin-treated groups than it was in the control group, which was consistent after adjusting for final body weight. In this study, ALT and AST levels were significantly lower in the empagliflozin groups compared with the control or glimepiride groups. There was no significant deterioration in kidney function (evaluated by creatinine level) in the glimepiride or empagliflozin groups, and no differences were found after comparing with the control group (Table 1). Triacylglycerol levels were significantly lower in the empagliflozin groups than those detected in the glimepiride or control groups. HDL-cholesterol levels were higher in the high-dose empagliflozin group (3 mg/kg) than in the control group. Levels of high-sensitivity C-reactive protein (hsCRP) were significantly decreased in the empagliflozin groups (1 or 3 mg/kg) compared with the control group. The level of serum amyloid A (SAA) was also lower in empagliflozin-treated mice than in the control or glimepiride-treated mice. However, SAA level did not differ between the two empagliflozin groups. The circulating concentrations of TNF-α and IL-6 were decreased by empagliflozin treatment but not by control or glimepiride treatment. MCP-1 concentrations were also decreased significantly by empagliflozin treatment. There was a significant increase in the circulating adiponectin concentrations after empagliflozin treatment. The urinary microalbumin/creatinine ratio was lower in the empagliflozin group than in the control or glimepiride groups. Atheroma volume was correlated positively with HOMA-IR and hsCRP and TNF-α levels and negatively with adiponectin levels (Fig. 5). There was a non-significant correlation between atheroma area and MCP-1 but not IL-6. Atheroma volume was also correlated significantly with urinary microalbuminuria (data not shown). After 8 weeks of treatment, the liver of mice in the empagliflozin groups appeared to display a lesser degree of fatty changes compared with the control or glimepiride groups (Fig. 6a). The lipid droplet area (Fig. 6b) and size of lipid droplets (Fig. 6c) in the liver of empagliflozin-treated mice were smaller than those in the control or glimepiride groups. After 8 weeks of treatment, crown-like structures were found in the control and glimepiride groups but not in the empagliflozin groups (Fig. 7a). The fat cells in abdominal visceral adipose tissue of mice in the empagliflozin groups were smaller in size than those in the control or glimepiride groups (Fig. 7b). Levels of Tnf, Il6 and Mcp-1 mRNA expression in abdominal visceral adipose tissue were lower in the empagliflozin groups than in the control or glimepiride groups (Fig. 8a). Immunofluorescence staining for inflammatory cells showed that empagliflozin treatment reduced the immunopositivity of CD68 compared with control or glimepiride treatment (Fig. 8b). In the M1-specific assays, M1 macrophage infiltration (CD11c) was lower in fat tissues of the empagliflozin groups compared with other groups (Fig. 8b). The relative expression of p-Akt vs Akt in the liver of mice in the empagliflozin groups was greater than that detected in the control group (Fig. 9a). The relative expression of p-GSK vs GSK in the liver of mice in the empagliflozin groups was greater than that observed for the glimepiride or control groups (Fig. 9b). The relative expression of p-Akt vs Akt and p-GSK vs GSK in the abdominal visceral fat was greater in the empagliflozin groups than it was in the glimepiride or control group and the relative expression of these enzymes in the glimepiride group was greater than that detected in the control group (Fig. 9c, d). Urinary-tract and genital infections have been reported after treatment with SGLT2 inhibitors . The mice in our study showed no sign of significant infection, particularly of the genital areas. To determine whether empagliflozin affects vascular smooth muscle cell proliferation in vitro, we measured incorporation of BrdU. As expected, treatment of RAoSMCs with platelet-derived growth factor (PDGF) significantly stimulated BrdU incorporation. However, empagliflozin treatment (0.1–100 μmol/l) had no effect on RAoSMC proliferation, suggesting the absence of a direct effect of empagliflozin on the proliferation of RAoSMCs (ESM Fig. 2). To determine the effect of empagliflozin on RAoSMC migration, we performed a wound-healing assay on cell monolayers. Empagliflozin treatment did not inhibit the PDGF-directed migration of RAoSMCs (ESM Fig. 3). Similar to the observations made in RAoSMCs, empagliflozin treatment (0.1–100 μmol/l) had no effect on vascular endothelial growth factor-stimulated HUVEC proliferation (ESM Fig. 4). This suggests a neutral effect of empagliflozin on endothelial cell proliferation. This study demonstrated that treatment with empagliflozin reduced atheromatous plaque formation in the aortic arch of an atherosclerosis-prone mouse model. Body weight and the amount and percentage of fat were also lower in the empagliflozin groups than in the control or glimepiride groups. Empagliflozin decreased fasting insulin levels and HOMA-IR, suggesting that insulin resistance was improved. Lipid profiles, liver enzyme activity and hsCRP and adiponectin levels were all improved by empagliflozin, suggesting it had a positive effect on insulin sensitivity and that it had an anti-inflammatory action. It was reported that empagliflozin improved glucose tolerance and insulin sensitivity in db/db mice . A study showed that dapagliflozin induced a significant reduction in glucose excursion in an OGTT . Treatment with TS-071 (luseogliflozin), another recently developed SGLT2 inhibitor, improved glucose tolerance without stimulating insulin secretion in Zucker diabetic fatty rats . In the present study, fasting insulin levels and HOMA-IR were decreased by empagliflozin treatment compared with control or glimepiride treatment. This finding corresponds to the results of a clinical study in which empagliflozin treatment decreased insulin secretion and tissue glucose disposal while improving insulin sensitivity in patients with type 2 diabetes . Improvement of insulin sensitivity might be a main contributing factor to the cardiovascular protection afforded by empagliflozin. Examination of the downstream molecules in the insulin signalling cascade showed that empagliflozin treatment increased the expression of p-Akt and p-GSK-3β in both the liver and visceral fat. Glimepiride treatment also increased the expression of p-Akt and p-GSK-3β in visceral fat but to a significantly lower extent than that induced by empagliflozin treatment. This finding demonstrates that the improvement of insulin signalling by empagliflozin was not induced by the amelioration of glucotoxicity, because the final plasma glucose levels detected in the treatment groups were comparable. Comparison between mice that lost weight and mice that maintained weight in the empagliflozin groups showed that Akt expression levels increased in both types of mouse. This suggests that improvement of Akt expression is independent of weight loss. In consequence, empagliflozin may improve insulin sensitivity via the modulation of the Akt–GSK-3β pathway. In this study, empagliflozin treatment resulted in reduced fat mass and fat percentage compared with control or glimepiride treatment. Furthermore, fat cells in visceral adipose tissue were smaller in size in the empagliflozin-treated mice than in control or glimepiride-treated mice. Clinical studies have reported that SGLT2 inhibitors reduce body fat mass [11, 27]. In our study, the mRNA expression of Tnf, Il6 and Mcp-1 was significantly lower in the fat tissues of empagliflozin-treated mice when compared with control or glimepiride-treated mice. In the same fat tissue, immunopositivity for CD68, a marker of the various cells of the macrophage lineage, was lower in the empagliflozin group vs the control or glimepiride group. Furthermore, M1 macrophage infiltration (CD11c) was less pronounced in the fat tissue of mice treated with empagliflozin than in the other groups. M1 macrophages are typically induced by lipopolysaccharide or IFN-γ and are potent effector cells that produce pro-inflammatory cytokines . These findings highlight the anti-inflammatory effect of empagliflozin on target tissues and suggest that inflammation of fat, a main driving factor of increased cardiovascular risk [29, 30], can be alleviated by empagliflozin. In our study, empagliflozin decreased AST and ALT levels. The area and size of lipid droplets that accumulated in the liver was also smaller in the empagliflozin group than in the other groups. Alteration in lipid droplet size was associated with the expression of the perilipin gene, which is a key player in hepatic steatosis , although the total number of lipid droplets was not reported to differ . Nonalcoholic fatty liver disease is one of the phenotypes of insulin resistance or metabolic syndrome. There is substantial evidence to show that fat accumulation in the liver is associated with type 2 diabetes and cardiovascular disease [33, 34]. In this study, empagliflozin treatment reduced the circulating levels of hsCRP, TNF-α, IL-6 and MCP-1. The inflammation process is involved in the initiation and progression of atherosclerosis . C-reactive protein has been reported to promote atherosclerosis by directly increasing the transcytosis of LDL across vascular endothelial cells and increasing LDL retention in vitro and in vivo . MCP-1 has been also reported to play an important role in the pathogenesis of insulin resistance, thrombogenicity and atherosclerosis [35, 37]. Several lines of evidence suggest that monocytes containing MCPs and macrophages influence the growth of other cell types within atherosclerotic lesions . A study in db/db mice demonstrated that long-term treatment with empagliflozin suppressed pancreatic islet cell inflammation, as well as inflammation in the liver and white adipose tissues . This anti-inflammatory effect was concomitant with a reduction in the levels of major inflammatory and immune factors, a finding that was similar to that in our own study. Decreased levels of circulating adiponectin may act as a mediator of the pathophysiology of obesity, type 2 diabetes and atherosclerosis [39, 40]. In a different context, several studies have reported the cardioprotective effect of glucagon-like peptide-1 (GLP-1) treatment or increased GLP-1 levels in the setting of ischaemic injury or heart failure [41, 42]. Thus, increased levels of adiponectin and GLP-1 after empagliflozin treatment seem to be a mechanism by which empagliflozin mitigates the progression of atherosclerosis . Chronic treatment with SGLT2 inhibitors shifts substrate utilisation from carbohydrates to lipids . The serum levels of triacylglycerol decreased to a greater extent in the empagliflozin-treated mice compared with control or glimepiride-treated mice. High-dose empagliflozin treatment also increased HDL-cholesterol levels significantly compared with control or glimepiride treatment. These favourable changes may contribute to a decrease in plaque formation, as shown in clinical studies [44, 45]. Interestingly, clinical studies with SGLT2 inhibitors have reported inconsistent results for LDL-cholesterol level [14, 46]. In our study, empagliflozin treatment caused a non-significant decrease in LDL-cholesterol level. An animal study reported reduced intestinal cholesterol absorption after empagliflozin treatment . At present, we cannot conclude whether SGLT2 inhibitors increase LDL-cholesterol or whether effects of SGLT2 inhibitors on LDL-cholesterol level affect the development of atherosclerosis. In this study, glimepiride was selected as the active control. Glimepiride was used as a reasonable control drug in the PERISCOPE study, which investigated the anti-atherosclerotic effect of pioglitazone . Another clinical study reported that glimepiride treatment did not affect vascular endothelial function, despite significant reduction in blood glucose level . In contrast, metformin attenuated angiotensin-II-induced atheromatous plaque formation in ApoE −/− mice . In terms of clinical relevance, the current diabetes guidelines state that a sulfonylurea is more suitable for comparison with empagliflozin (or another SGLT-2 inhibitor) as a second-line drug after metformin treatment. Human and rodent studies have shown that SGLT2 inhibitors lower blood pressure by inducing osmotic diuresis and natriuresis [14, 50]. Thus, although we did not measure blood pressure in our study, a reduction in blood pressure after empagliflozin treatment may have contributed to the reduction in albuminuria and plaque formation. To evaluate insulin resistance and beta cell function, we used HOMA-IR and HOMA-β instead of more sophisticated methods. Although they have not been validated in animal studies as in human studies, these variables are frequently used in rodent studies [21, 51]. The present study, focussing on the effect of empagliflozin regarding cardiovascular protection, suggests possible underlying mechanisms to explain the superior results of empagliflozin vs placebo obtained in the EMPA-REG study . Although more detailed mechanistic studies are needed, our study suggests that the improvement in insulin resistance and alleviation of the inflammatory process in the circulation, liver and fat tissues are attributable to the anti-atherosclerotic property of empagliflozin, in addition to its induction of weight loss, decrease in triacylglycerol/HDL-cholesterol ratio and reduction of microalbuminuria. Compositional changes in atheromatous plaques, such as reduced lipid droplet area and reduced infiltration of inflammatory cells, were also found in the empagliflozin groups. In conclusion, empagliflozin seems to be effective against the macrovascular complications of diabetes in addition to its known glucose-lowering property. This work was supported by research grants from the Korea Diabetes Association (06-2014-260) and Boehringer Ingelheim (06-2014-168). The funding agencies had no role in the study design, data collection or analysis, decision to publish or preparation of the manuscript. The sole responsibility for the content of this paper lies with the authors. JHH, TJO and SL researched data and contributed to the experimental design and discussion. GL, HJM, DHL, KMK, SHC, HCJ, HSL, KSP and Y-BK researched data and contributed to the discussion. TJO and SL drafted the manuscript. All authors edited and revised the manuscript and approved the final version. SL is responsible for the integrity of the work as a whole. All relevant data were included in the article and/or the ESM files.